Results: 1 to 10 of a total of 34 results. Not really sure what I'm doing here. Just wondering if anyone exists, I guess. Does froid22 belong in this group? Friendship to start with another poz guy. Returned to the Good Life. I left Nebraska right out of high school and moved out west. Returning for vacations with family and friends. After being out west for 40 years, it just felt right to return to a slower life, with the 4 seasons. Nebraska will always be home. Does compaqone belong in this group? ne I live in Nebraska. Does aaronlee1989 belong in this group? Does zfire93 belong in this group? 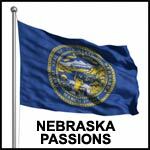 I was born and raised in Nebraska. I love the rich history, diversity, and landscape. Does canandwill belong in this group? Does emanni2kool4u belong in this group? Does sc1f1r1ck belong in this group? Does rdeezy21 belong in this group? Does emmmz24 belong in this group? Does justinw1 belong in this group?